Population and property surveys and records include the Domesday Book, Hearth Tax Returns, Muster Rolls, Tithe Maps and Awards etc. Rentals (i.e. lists of tenants and the rent payable) are a further useful source of demographic information. 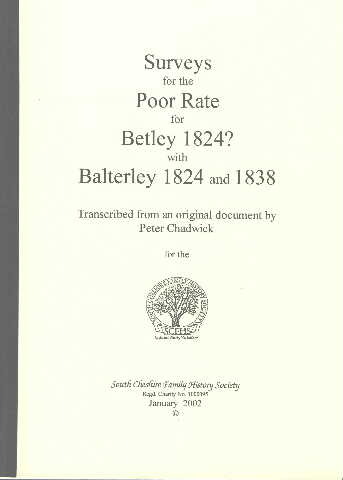 The transcription of some local 19th century surveys shown below was published by South Cheshire Family History Society in 2002.